Temporomandibular Dysfunction (TMD) is a common condition affecting as many as four out of every five people. TMD is often referred to as TMJ and is also known as Myofacial Pain Syndrome or Cranio-mandibular Dysfunction. TMD is a complex problem with multiple contributing factors and varying levels of severity. There are many different types of TMJ disorder, any one of which may be related to a number of causes. The most common TMJ problems occur when the temporomandibular joint itself or the surrounding muscles are put under intense or continuous stress. Causes of TMJ can be either mental or physical. Disorders of the muscles of the temporomandibular joint are the most common complaints by TMD patients. The two major observations concerning the muscles are pain and dysfunction. 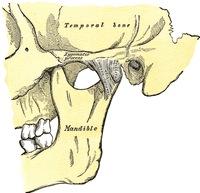 The dysfunction can present as limited jaw movement ranging from minor to severe. In milder cases, there is joint popping or clicking. These symptoms of TMD are often caused by overusage of the muscles used for chewing. Common causes include chewing gum continuously, biting habits (fingernails and pencils), grinding habits, and clenching habits. Any dysfunction of the muscles may cause the teeth to occlude (bite) with each other incorrectly; if teeth are traumatized by this, they may become sensitive, showing one of the many ways muscle, joint, and tooth work closely together. Malocclusion (misalignment of the teeth or bite problem), when the teeth in the upper and lower jaw are not lined up correctly. Malocclusion can result in uneven pressure to each side of the jaw, that puts the muscles and TMJ under stress. For the same reason, chewing on only one side of the jaw can lead to TMJ problems. Modification of the occlusal surfaces of the teeth during dental treatments (if not done properly) may also result in malocclusion problems and cause a TMJD. Bruxism (teeth grinding and teeth clenching). Moving the teeth over each other (teeth grinding) not only wears down the teeth and might cause malocclusion, but also increases the wear on the cartilage lining of the TMJ. On the other side, teeth clenching when the upper and lower teeth are pressed together, is putting stress on the facial muscles, tissues and jaw. • Malocclusion and bruxism are the most common causes of TMJ. Dr. Pominville's Goal: To relieve pain and other TMD symptoms and restore physiologic harmony to the structures of the head and neck area.